Veronicas are an amazing variety of flower fillers for contrast with lighter tones. Your wedding or special event will greatly be enhanced when you use this filler in floral arrangements. 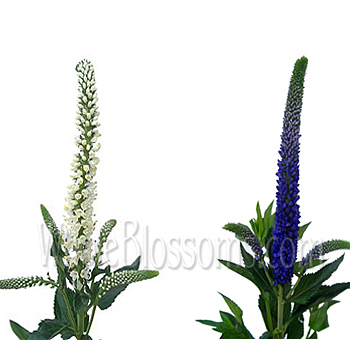 Veronica is a filler variety that is an excellent choice for spring and summer weddings and special events. 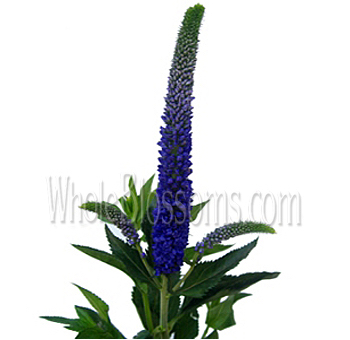 It has a special cone shape that really blends and contrasts with so many different varieties of greens and flowers. 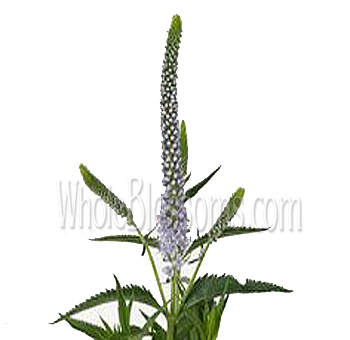 The Veronica is a beautiful flower commonly known as "Speedwell." It's found often along roadsides, and they grow in masses. They are there for the passerby's, representing a speed well sort of sign. They are also sometimes considered as weeds in some lawns. Especially the Persian speedwell, corn speedwell, and creeping speedwell. The cast species of speedwell easily confuses many, and there are five to seven species in Michigan alone that can be easily confused with. Veronica is found along the road used and considered as a weed by many. But the beauty of this flower is that it's been recognized for its beauty and is used extensively as cut flowers. Ornamental these flowers have gained in value and are used in weddings and bouquets as fillers. The striking colors of the Veronica flower are beautiful. The blue Veronica adds a perfect contrast to an ivory bridal bouquet. The purple and pink Veronica's are often used in coral and soft pink themes of weddings. In Ireland, this flower was pinned to the coats of travelers bidding them a safe farewell. 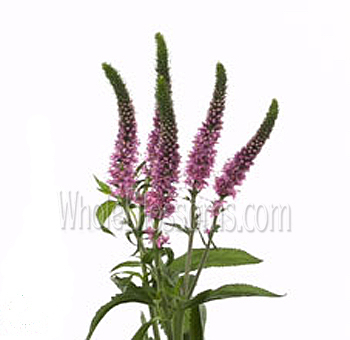 There are roughly around five hundred species under the name Veronica flower. Most are native to the wild areas in the Northern Hemisphere. 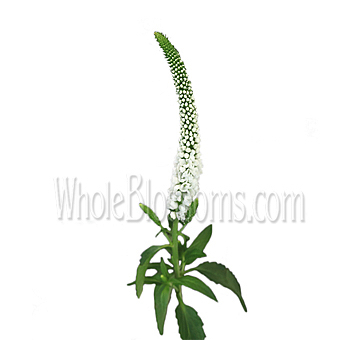 These flowers grow as tall as thirty inches, and the stems of the flowers easily grow as big as three inches. The plant, however, is very simple. 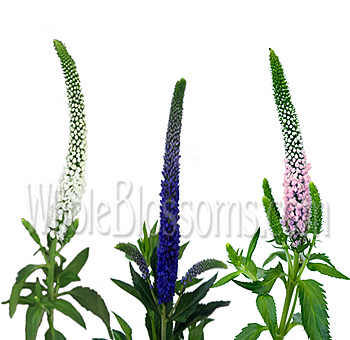 With flowers growing from the thick stems, the Veronica is easily an impressive flower that comes in a lot of shades. Using it in floral arrangements thus becomes very easy. The bloom is filled with smaller flower spikes that grow upwards from the base. This flower adds the perfect texture, colour, and intrigue to your bridal bouquet. They make a unique and exciting filler flower for any arrangement. With so many shades available it's also indefinitely comfortable to inculcate them into any color scheme or theme of the wedding. The flowers add tons of volume and can be used in waterfall bouquets. These beautiful flowers are recently gaining a lot of attention too. They make a perfect addition to the new modern and minimalistic look people are opting for. It's the perfect addition to any floral setting. Pair white Veronica flowers well with other ivory flowers like roses or peonies for a classic and timeless wedding bouquet. Finding wedding flowers are very easy. But finding them at a reasonable price, not so much. Flowers for the wedding can get expensive. Your best bet would be buying in bulk from wholesalers. We highly recommended Whole Blossoms for all your floral needs. They deliver right to your doorstep and even have a fantastic 24/7 hour delivery system which is a relief for event planners and do it yourself brides alike. They guarantee fresh flowers delivery at a good and reasonable price. Whole Blossoms is a vendor you should trust when it comes to your wedding flowers.